Send by Air: Arrive at destination airport fast, then need you to clear the customs (about 4-10days ) c. Profession Well trained and experienced staffs to answer all your enquires in fluent English. Confidentiality Protection of your sales area, ideas of design and all your private information. Dongguan Smile To Life Jewelry Co., Ltd.
etc and send your email to us or talk to our staff via trade manager. But you should pay for the sample and take the shipment fee. But you should provide the necessary information (material, size, printing, finishing,shape and so on. Please contact for the wholesale prices We can do Multi Gemstone Beads Necklace in all kind of semi precious gemstones. 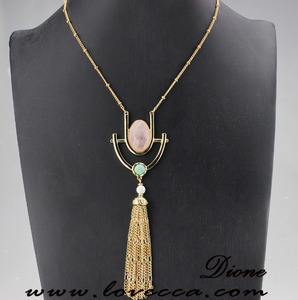 Being a factory we can do Gemstone Beads Necklace in all kind of Semi precious gemstone and all needed way and style. PAYMENT POLICY : We accept all Credit and Debit Cards, PayPal & Bank Transfer as per need and order. Here just some part of models for your reference. We will choose the best suitable shipping methods according to customers&rsquo; requirement. PAQ 1.Are you direct factory wholesale9 Sure, we are direct factory manufacture more than 10 years experience . We manufacture and exports high end fashion jewelry into global market on highly competitive prices. We also made customize designs on order bases and try to meet high degree of customer satisfaction. We manufacture jewelry from sketch to the live product in our own manufacturing unit. 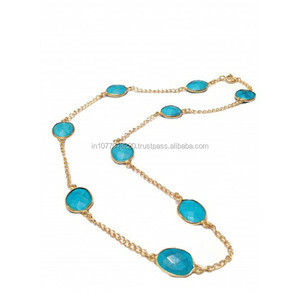 Alibaba.com offers 208 trendy turquoise gemstone silver necklace products. About 51% of these are silver jewelry, 50% are necklaces, and 3% are zinc alloy jewelry. 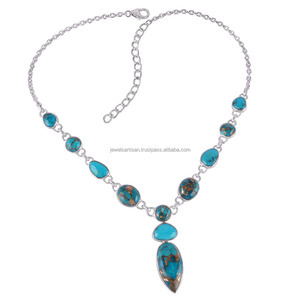 A wide variety of trendy turquoise gemstone silver necklace options are available to you, such as gift, anniversary, and engagement. You can also choose from women's, unisex, and children's. As well as from silver, alloy. 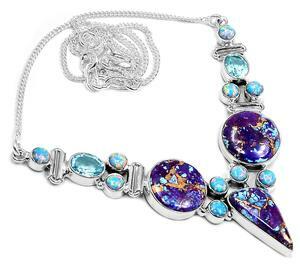 And whether trendy turquoise gemstone silver necklace is crystal, rhinestone, turquoise, or agate. 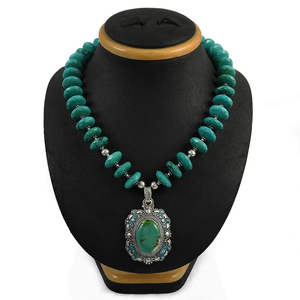 There are 128 trendy turquoise gemstone silver necklace suppliers, mainly located in Asia. 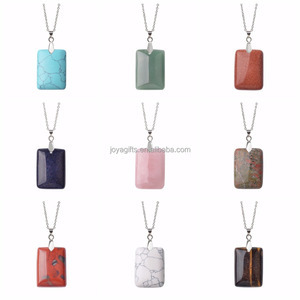 The top supplying countries are India, China (Mainland), and Turkey, which supply 85%, 12%, and 1% of trendy turquoise gemstone silver necklace respectively. 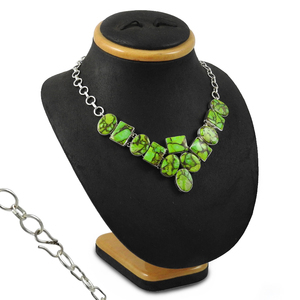 Trendy turquoise gemstone silver necklace products are most popular in Central America, South America, and Southeast Asia. You can ensure product safety by selecting from certified suppliers, including 2 with GMP certification.